20 Ounce Sports Authority Shaker Bottle Just $5.49, 2 For $8, Or 3 For $10! Ships FREE! You are here: Home / Great Deals / 20 Ounce Sports Authority Shaker Bottle Just $5.49, 2 For $8, Or 3 For $10! Ships FREE! 13 Deals has this 20 Ounce Sports Authority Shaker Bottle for just $5.49 (Reg. $8.99), 2 for $8.00, or 3 for $10! Plus shipping is FREE! Quickly mix all the ingredients in your shake by just, well…shaking it! 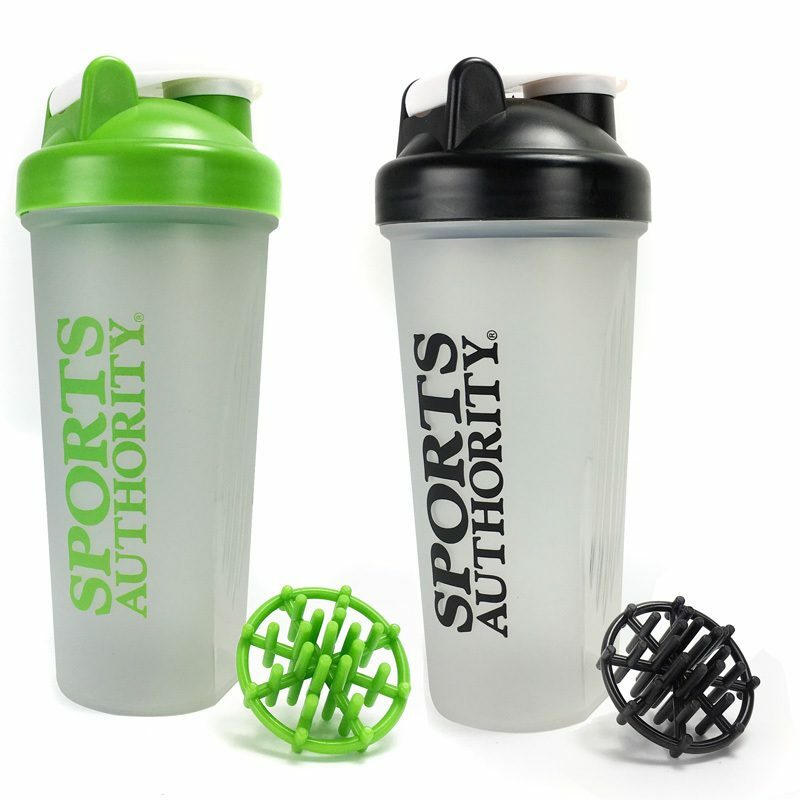 This shaker bottle from Sports Authority features a 20 ounce capacity and markings on the side in both ounces and milliliters. The plastic agitator allows you to mix faster and more thoroughly than you ever could with a spoon! Will arrive randomly in either black or green colors pictured.